A calf strain or pulled calf occurs when the muscles in the calf have been stretched too far and the muscle has torn. A first degree calf strain has minor tears in a smaller area, second degree has more tears to a larger area, and third degree is a complete tear or rupture of the calf muscle. First and second degree calf strains are generally treated without surgery through rest, ice, compression, and elevation. Rest will allow your muscles to heal and icing will help reduce pain, swelling and inflammation. Calf strains can happen in all sports though most commonly occur in sports with heavy running, like soccer, lacrosse, and basketball. 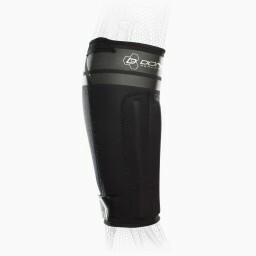 Compression sleeves and braces will provide the support needed as your muscle heals, it will also help keep your leg muscle warm as you get back to sports. Recovery time can take 3-6 weeks. 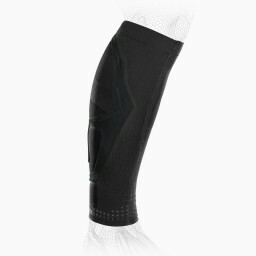 With minor calf strains or for those returning back to activity from a major rupture, wearing a calf sleeve will help give you the compression, stability and confidence as you run and jump. Add gentle stretching, massaging, strengthening, warm-up and cool-down to workouts to prevent the calf muscle from getting too tight to decrease your chance of reinjury.